Bangladesh Army Job Circular 2019 available here. Bangladesh Army has been published a new job circular for the Bangladeshi people, who are interested in joining the Bangladesh Army. Most of the students are taking themselves for doing a job in the defense sector. Bangladesh Army doing a great duty for our country. They are now enlighting our country around the world. If you give a better performance in Bangladesh Army job, you have big opportunities to join United Nation for Santi Mission. Many Bangladeshi soldiers are doing their job in various country. Bangladesh army Job circular 2019 is published officially. They are always trying to protect a country from the enemy. Bangladesh Army recruits young and energetic people for their work. Now they are leading most of the highly reputed institute in Bangladesh. Every year our Government spending a lot of amount for protecting our country from danger, and Bangladesh defense forces doing this word properly for their patriotism. In this article, you can see very recently published Bangladesh Army Job Circular 2019. 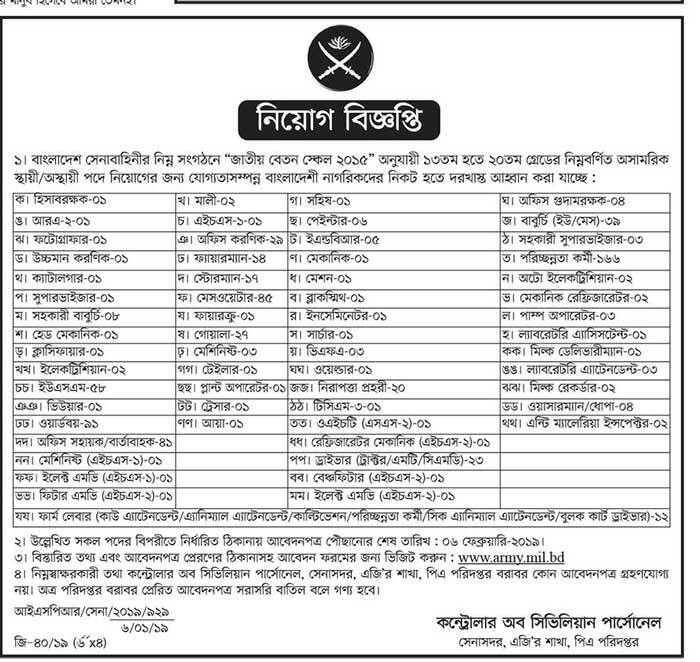 In our website, you can find the latest Job circular from Bangladesh Army authority. If you want to join in this job, don’t waste your time. Pick up your application to the authority and get ready for a fight today. You can get Bangladesh Army job circular from our website www.studyhourbd.com. If you want to apply for Bangladesh Army Job, you need some requirements to apply for this process. In this post, we will share with you all the process to Apply in Bangladesh Army Job Circular. We have attached the circular in below images. You can easily find the images below. You can find the fundamental information below. How to Apply Bangladesh Army Job? After successful payment Applicant will get User ID & Password through SMS. Visit www.joinbangladesharmy.army.mil.bd and login by using Username and Password to Print/Save the Call Up Letter. Check this video for apply Bangladesh army job 2019. 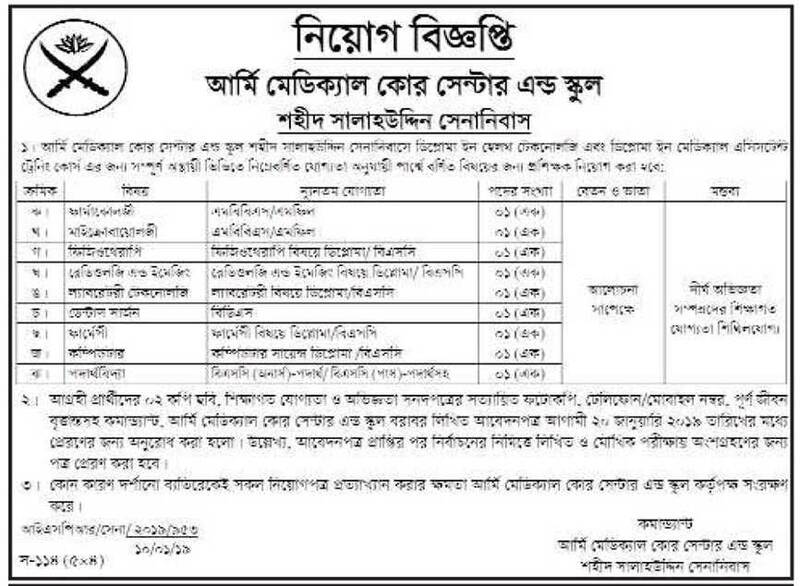 Final Words: Please ensure that you have realized about Bangladesh Army Job circular 2019. If you face any problem to apply for this job, please let us know immediately. You will try to help you as soon as possible.